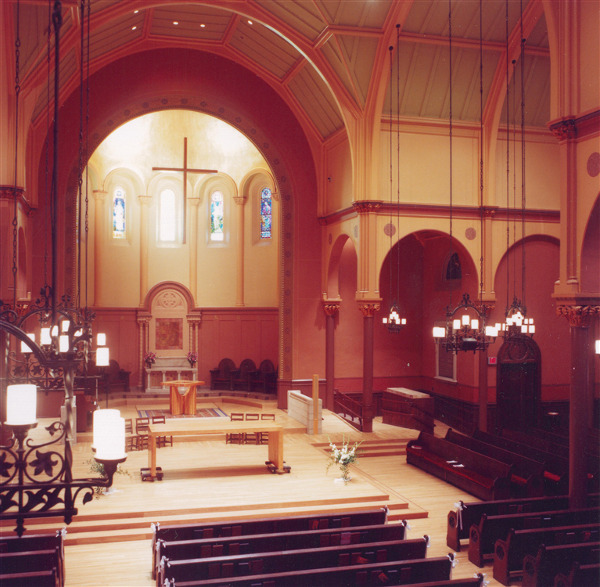 While the room is built for carrying music and the beautiful strains of the church's pipe organ, augmenting the spoken word in the large, reverberant space was an issue plaguing historic First Church in Cambridge, MA. 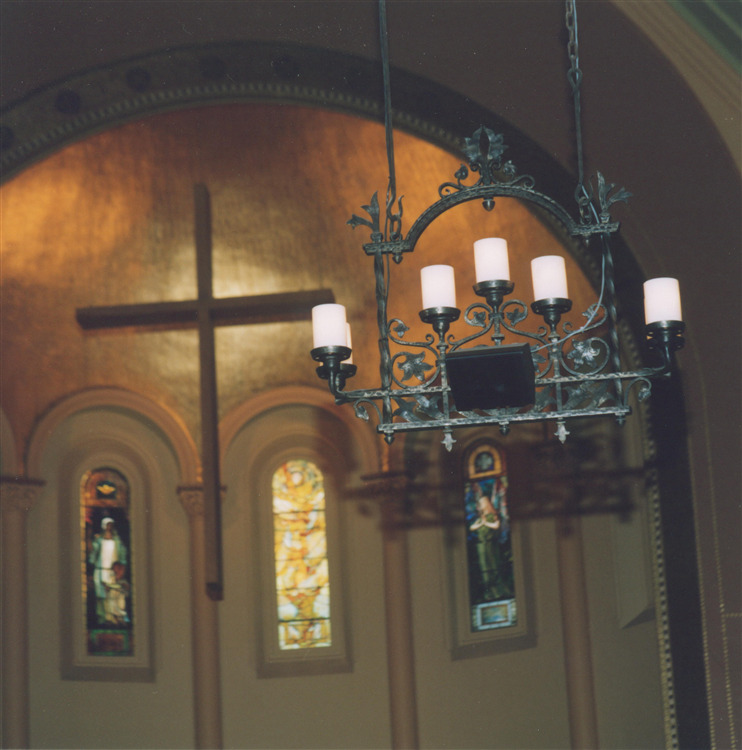 Shanahan installed black JBL speakers on the antique chandeliers to carry sound to the side areas, the middle and back sections of the church. The speakers meet the asthetic requirements as well by providing coverage that is visually unobtrusive. "You designed a system that solved our speech intelligibility problem and did not alter the Sanctuary acoustics that our choir enjoys. 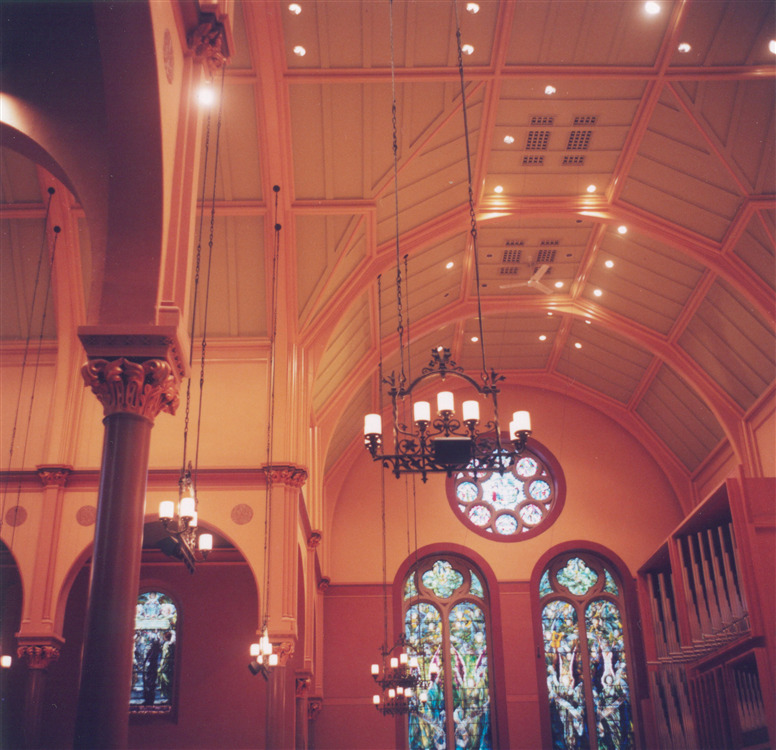 The system blends in beautifully with our new Sanctuary and sounds wonderful"